· Centrifugal separators, using principle of different density of oil, water, solid (light, heavy phases) getting different velocity, separate the insoluble liquids or solid particles. · When separator operation is no longer feasible due to high proportions of solids in the suspension to be processed, decanters are used. 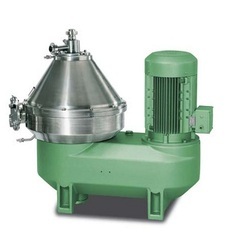 Decanters are horizontal, solids-oriented, solid-wall scroll centrifuges. · In solid-based applications, our centrifugal decanters ensure optimum separation efficiency. 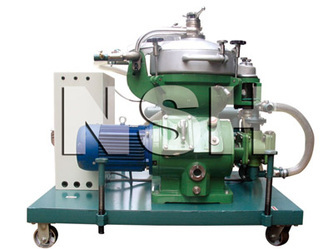 It can be used for food, beverage, wastewater treatment industrials. · This nozzle separator is a 3-phase machine for continuous discharge of palm oil, water and suspended matters. It can work continuously to separate palm oil sludge. · This palm oil containing sludge is fed into the machine and is separated in the disk stack. Solids are discharged through nozzles. The clarified liquids are pressure-discharged via centripetal pumps. · The self-cleaning bowl makes the machine suitable for fully automatic cleaning-inplace (CIP). The frame is made of cast iron. 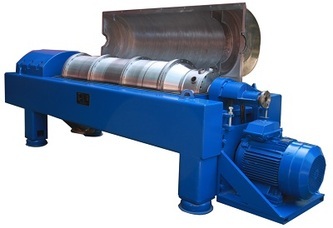 All parts coming into contact with the product and ejected solids are made stainless steel.